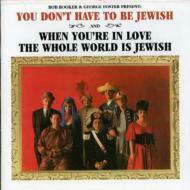 From the comedy mastermind behind Vaughn Meader's First Family albums comes a pair of mid-'60s classics with the same deftly humorous touch about all things Jewish. Together for the first time on a single CD! Includes a Call from Long Island, the Cocktail Party, Secret Agent, James Bondstein, the Ballad of Irving, assorted hilarious medleys and much more.